Katri Saarikivi: Digitalization is just one phase in progression and, as such, there is nothing novel about it. In essence, work has always been about solving other people’s problems, and the human race has always been developing tools to do this more efficiently. Digitalization is just one phase in this progression and, as such, there is nothing novel about it, says brain researcher Katri Saarikivi. Originally, psychologist Katri Saarikivi was interested in working life and workplaces rather than research. However, the question of how the human emerges from brain matter inspired her to follow an academic career path. Saarikivi leads the NEMO research team in the Cognitive Brain Research Unit at the University of Helsinki. This team researches empathy and high-quality interaction, and how they can be enhanced in digital environments. “In addition to research work, we cooperate with work organizations in finding ways to benefit - in a digital environment - from the latest findings on human behavior,” says Saarikivi. Saarikivi is also a member of the steering group of Aalto EE's Digital Business Network. The transformation of work is being widely discussed, but research does not support all of the commonly presented views. Let’s hear from Saarikivi about why this is the case. According to Saarikivi, work is problem-solving, and more specifically, human problem-solving. Work exists because other people have problem that need to be solved. For this reason, as long as humans persist on this planet, work is an enduring phenomenon in society and will never end: when one problem is solved, four more appear. Curiosity and the desire to develop are also integral to humankind. This results in constant changes in working, i.e. changes in the ways and methods that people employ in order to solve the problems that lie at the core of work. For Saarikivi, work in which machines outperform humans, such as repetitive tasks and easy problem solving, should be outsourced to machines. What remains are areas where humans still outperform machines: creative thinking, flexible and contextual thinking, the ability to learn, and the ability to interact, i.e. empathy. Digitalization has multiplied the amount of information available. Information is available in real time and around the clock via various media. Many people think that this information overflow overstrains the brain and hampers efficiency at work. Saarikivi admits that very high skills of self-awareness and control are required today, but we are all capable of such functions. Habits are easily formed, and it is easy to stick to them, whereas changing one’s behavior requires energy. The ability to interact and empathy skills are precisely the areas in which humans beat machines. Despite this, it is a common misconception that you should prioritize reason and set your emotions aside when at work. However, the truth is that it is impossible to switch off your emotions, says Saarikivi. Despite this, few people are aware of their emotions but, for example, develop rational explanations after making decisions based on feelings. Empathy, which is not an emotion but a set of cognitive skills that can be practised, is also important in work. Empathy includes three areas: compassion, understanding the thoughts, and understanding the feelings of other people. Work that requires new solutions, interaction, empathy, and demanding problem-solving is a poor fit with the traditional hierarchical organization model. Saarikivi says that hierarchy could also be described as unhealthy, since it prevents people from using their higher cognitive skills. In fact, the brain flourishes under the strain that occurs when a person undertakes difficult work. In working life, creativity is still often considered a special skill that particularly creative people practise when carrying out creative duties. Learning is seen as something that happens during a course. According to Saarikivi, this is not true. For this reason, Saarikivi claims that if everything were automated that could be automated, everyone would be doing creative work – or at least they should be. The current definition of productivity leaves little room for creative thinking, because creativity requires space and opportunities to deviate from processes. It has even been linked to the brain’s default network, r the mentalizing – the same network that is active when a person uses her imagination. This is impossible if roles are strictly defined, and does not fit with the idea of continuous concentration from eight to four. Learning is optimal when a person is in a curious state of mind – that’s when the brain’s pleasure centers interact more with the brain areas related to memory. 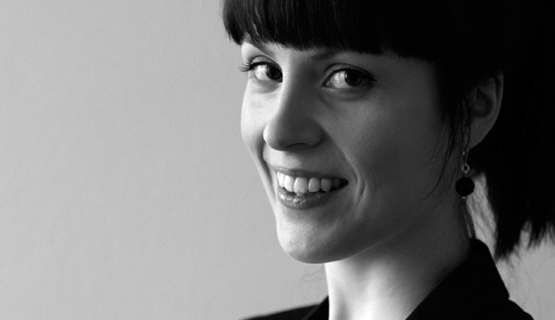 Katri Saarikivi is a member of the steering group of Aalto EE's Digital Business Network, which brings together key players, the latest topics and up-to-date information in digital business. How to Be Social on Social Media – Checklist for CompaniesJenny Wolfram, CEO & Founder of BrandBastion, gives insights. Hello, Linda! How Did You Do It? Hello, Linda! How Did You Do It?Crowdfunding that raises hundreds of thousands of dollars is a sign of something even bigger at play: a true community.